Holy days, or holidays, are days set apart as sacred to the Lord. 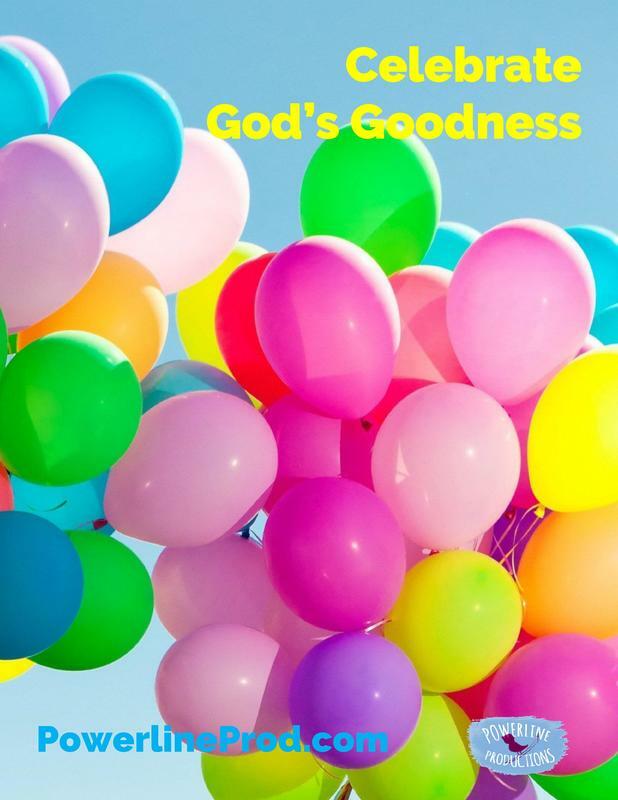 We celebrate God's goodness to honor Him, thank Him, and focus on Him. We enjoy traditions that give our family an unique identity. We use holidays as a time to pass on godly values, truths, and character. We celebrates with singing, devotions, old family stories,delicious food, traditions, crafts, and games. 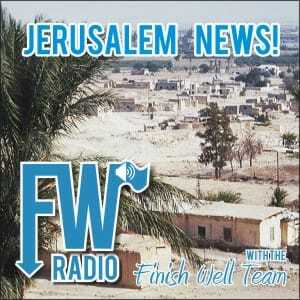 God instituted Holy Days, or holidays for Israel. Celebrate with Joy this Thanksgiving! Looking for brand new celebrations, traditions, recipes, and projects to make Thanksgiving meaningful and Christ-centered? Thanksgiving is an amazing time to stop and give thanks to God for all His blessings! But so often, we get caught up in the busyness of preparation and entertaining that we lose focus of the purpose of the day. Let Celebrate Thanksgiving inspire you! 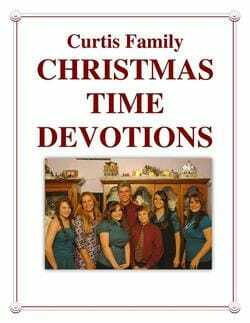 Meredith shares meaningful family traditions, devotions, poems, and prayers that will restore the reason for the season. She will help you help your family to be filled with gratitude for all God's blessings. There is even a chapter on Thanksgiving books to read alone or aloud that expresses the true meaning of this holiday. This book is packed with photographs, recipes, creative ideas, craft projects, and tips to get you started. With over 50 mouth-watering recipes to try, you will be equipped to host your own holiday festiviites. With planning tips and worksheets, hostessing has never been easier! Let this be your best Thanksgiving ever! Our American Thanksgiving Story is an exciting, adventurous one that will delight you and your children. Learn the whole story and be amazing at God's faithfulness and the deep devotion of the first Pilgrims. You will be inspired! There is even a section in the back of chorded hymns to sing with your family, as well as historical documents to peruse through. Here are the chapters in the book. How, What, & Why to Celebrate! Purchase the Print Book, Celebrate Thanksgiving, on Amazon. Celebrate with Joy this Christmas! 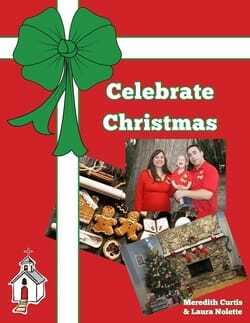 Purchase the Print Book, Celebrate Christmas, on Amazon. 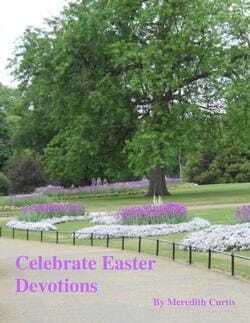 Celebrate with Joy this Holy Week & Easter! 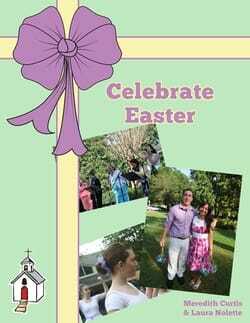 Purchase the Print Book, Celebrate Easter, on Amazon. ooking for a brand new Christmas Eve tradition to keep the season Christ-centered? Is there anyone who doesn’t love Christmas? We love celebrating Christmas with our families, friends, and church families. One of our favorite traditions is the Traveling Dinner! Every Christmas Eve the Nolette and Curtis families travel somewhere for fun, food, fellowship and faith-building. We do this in memory of Jesus' Birthday. His parents traveled right before His birth to Bethlehem. Meredith and Laura share family photographs, recipes, and memories so that your family can start their own Traveling Dinner tradition. This is one of our favorite parts of our Christmas celebration. With love, we pass this book on to you! This book is packed with photographs, recipes, creative ideas, and tips to help you incorporate this tradition into your own family. We’ve included devotions for the whole family, as well as games and activities to play. 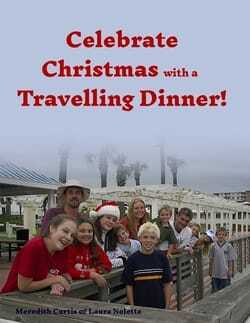 Food is a big part of all of our Christmas celebrations and the Traveling Dinner is no exception. This book is jam-packed with hot weather menus, cold weather menus, and recipes: Appetizers, Soups, Salads, Breads, Main Dishes, Desserts, Beverages, and, of course, Christmas cookies! With over 100 mouth-watering recipes, this book is a Christmas Cookbook too! Christmas isn’t just for little kids! Teens love Christmas too! 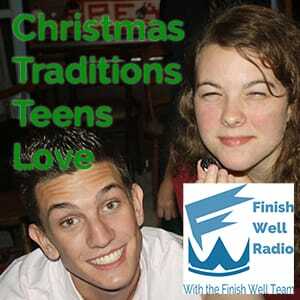 Listen to teens share their favorite ways to make Christmas meaningful and fun! You just might find some new Christmas traditions to add to your family’s celebration this season. From our home to yours! Enjoy our Christmas Devotions! We start them in the middle of December until January 2. We do this every year and hope that you enjoy reading the Christmas story every year with your family. Each day there is Scripture to read, questions to discuss, and Christmas carols to sing. Words to Christmas carols are included. Merry Christmas! In the hustle-bustle, it’s hard to find time to enjoy the Birthday King. Meredith Curtis will share ways to draw apart this Christmas and spend time with Jesus, growing in Him and experiencing His Presence. After all, Jesus is the Reason for the Season. Give Jesus the gift He is looking for this Christmas (His Birthday Celebration): your time and heart. Travel back in time with us to the birth of our Lord Jesus Christ! Listen to the Christmas story through the eyes of investigative reporters Rebekah Isaacs and Jonathan Davidstein. This very special, very short news show will make you smile. Holy Week and Resurrection Day (Easter) are more than fancy new dresses and Easter baskets. Dig into the Word of God this year using our family devotions. The last week of Jesus’ life is filled with adventure, joy, and sorrow. Let the story wash over you once again as you and your family read the Bible, pray, sing hymns and songs, and celebrate with a hands-on activity. The devotions start the Saturday before Psalm Sunday and follow the last week of Jesus’ life step by step. But, these devotions don’t end on Easter Sunday. The following week looks at his post-Resurrection days and final ascension. Be reminded this season of the Resurrection Power of Jesus available to His people today. God bless you and Happy Easter! Jesus rose from the dead almost 2,000 years ago! 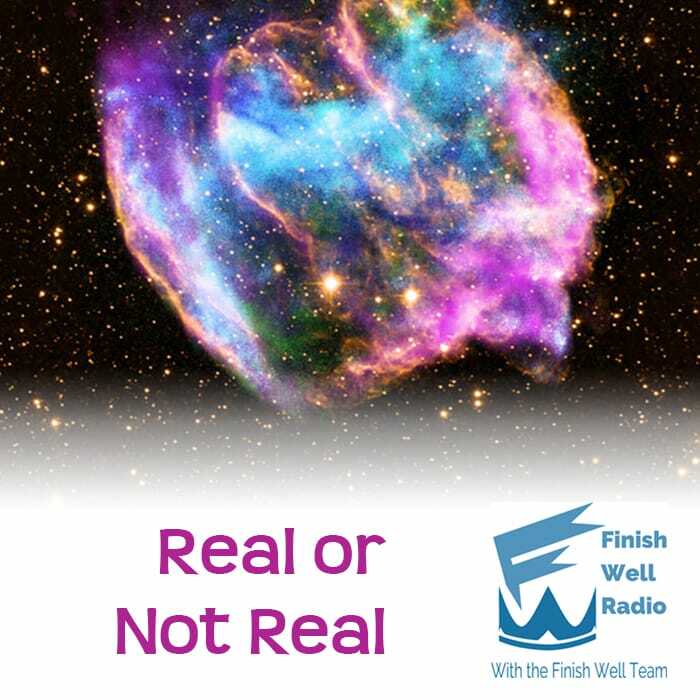 Real or not real? Jesus’ Resurrection Power can change your life today! Real or not real? Listen to Pastor Mike Curtis as he shares about the reality of Jesus’ life, death on the cross, and power to change your life today! Jesus rose from the dead almost 2,000 years ago! What will this explosive power, the same power that raised Christ from the dead do for us after we die? And what about right now? 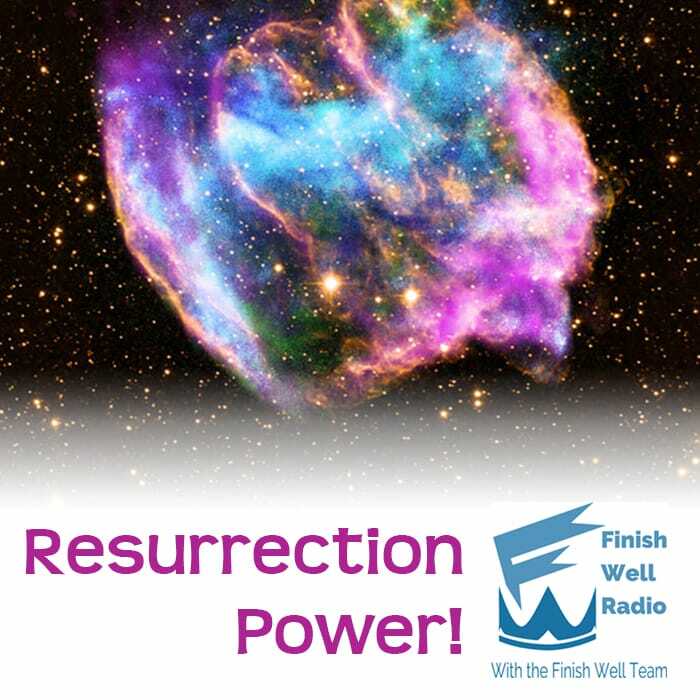 Can Resurrection Power make a difference in your life today? Yes, it can! How does it work? Why is it dangerous? How can you tap into this power source? Is there an alternative to celebrating Halloween? Yes! Let's take seriously the example set by the early church of celebrating our history and heritage as Christians. Learning church history can not only be painless, it can be fun! Try having a Heroes for Jesus Party with your family, church family, and friends. You just need some volunteers to dress up as your favorite church history heroes and stay in character for an hour or so....How about bringing in the Apostle Paul, St. Francis of Assisi, Amy Carmichael, St. Patrick, Martin Luther, or St. Augustine? Your children will not even realize they are learning about church history! We have been having Heroes for Jesus parties for years with everyone who participates having a grand time! We have loved making memories and learning together about mighty men and women who have changed the world for the glory of God! Celebrate our Christian Heroes covers: How, Why, and What to Celebrate, Alternatives to Celebrating Halloween, and How to have your own Heroes for Jesus Party. Here are some of the heroes covered in the book. ​Purchase the Print Book, Celebrate Our Christian Heroes, on Amazon. Looking for a unit study for December that the whole family will enjoy? Dig deeper into America’s Colonial era.This four week unit study is set in Colonial times. In Celebrate Christmas in Colonial America, learn how they celebrated Christmas in Colonial Days! With hospitality devotions to start each day and information about Colonial Times to read aloud, your children will be learning about history and God’s Word! With suggestions for family read aloud fun and hands-on activities, this book is filled with craft, recipe, and project ideas to make Colonial Times come alive. Make Christmas presents and make Christmas cards with feather pens and berry ink. Set a table Colonial style with a handmade centerpiece. Learn about life at sea! This unit ends with a Christmas Tea or French & Indian War Airsoft party, depending on your children’s interest. We have enjoyed doing Christmas unit studies in December, taking a little break from our more rigorous year. ​Purchase the Print Book, Celebrate Christmas in Colonial America Unit Study, on Amazon. Is there anyone who doesn't love Christmas cookies? This unit study, made with love, is jam-packed with mouth-watering, festive recipes to make and bake for Christmas. You will bake and freeze cookies and make cookies mixes in a jar to give as gifts. The idea of doing unit studies for the month of December was a way to stretch out the celebration of Christmas because I just love Christmas and making memories with my little lambs. But, I also love to learn and this unit study is full of fun things to learn. Each day you will do Christmas time devotions, sing some Christmas carols and read a beloved Christmas picture book. The picture books are not just great stories, but represent a wide variety of art work in the illustrations. As all picture books, they are a journey into the world of art, as well as storyland. Christmas carol lyrics are in the back of the unit study so that you can sing every day too. Many of the classic Christmas carols are filled with great things about Jesus and our relationship with Him! There are other activities too-poems to write, gifts to wrap, crafts, games, and parties to plan. 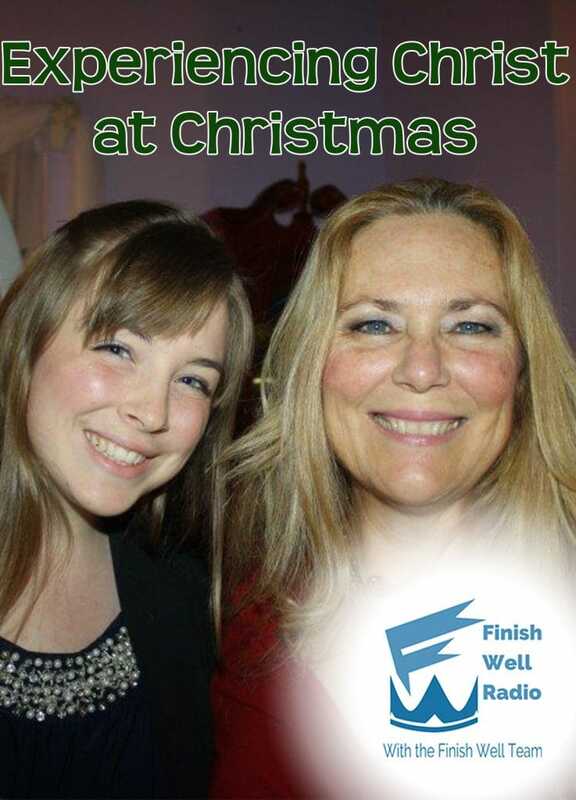 Combine Christmas celebrating with learning to have a productive and pleasant holiday season. Enjoy! Of course, the focus is on cookies, so get reading to learn the difference between baking soda and baking powder, as well as why cookies made with butter spread thinner. And by the way, how did cookies come to be part of our world? Here are the picture books you will need to check out from the library or purchase at your favorite bookstore. Of course, this unit study is no longer mine as I give it to you. Please adapt it however you need to so that it will work for your family! Cut things out, add things in, and change the days around-it's yours now! I hope this will spark your own homemade Christmas unit studies in years ahead. Merry Christmas! Why not celebrate with cookies? Purchase the Print Book, Celebrate Christmas iwith Cookies Unit Study, on Amazon.